• Cavapoo dog breeders are listed below alphabetically by State / city. 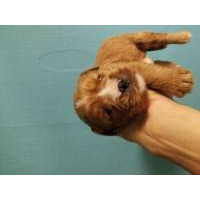 • Click on underlined words to see their Cavapoo puppies for sale. 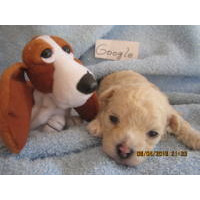 • Please tell the Cavapoo dog breeders with puppies for sale that you found them on BreedersClub.net. Cavapoos are a designer breed, hybrid of the Cavalier King Charles Spaniel and Poodle. Normally, they are affectionate to their owners, and love to please. They come in a variety of colors and their coat needs to be brushed regularly. Cavapoos love attention and should not be left alone for long periods of time. Experienced, Dedicated, Reputable Breeder of 14 years located in Northeast ALABAMA. We love what we do and it shows. We welcome your visits. All pups will be VET CHECKED. Have age appropriate shots & wormings. Be registered appropriately with AKC, CKC, CKC as a hybrid. Dependent on Breed. Have a 1 year Health Guarantee. We Let our puppies go to their new forever homes at 8 weeks of age and we DO NOT SHIP. Thank you for your interest in our Babies. A family/veterinarian owned facility near Athens, Ga. We give our babies lots of love, attention and exercise. If your family needs a non-shedding, hypoallergenic dog we can help! All of our dogs have passed extensive veterinary, genetic, and personality testing in order to provide great healthy, happy pets for our clients. All of our puppies go home with a substantial 2 year health guarantee, all up-to-date vaccinations and dewormings, puppy kit including training techniques and tips, microchipping and spay or neuter if appropriate. About me & our puppies. I've been breeding & showing for 33 years. I also have done dog show judging. Dogs are pretty much my whole life & passion! All our puppies come with multiple vaccinations, dewormings, and several preventative treatments. A written 1yr. health guarantee. Almost all Designer litters are ACHC Registered. We offer FREE neutering of males. FREE micro chipping. Our vet is here every1-2 week to health check puppies. I am a small home breeder and sell my puppies only to individual families. Puppies are home raised treated like family and socialized daily. Puppies receive early imprint training from birth on and are exposed to many different sites, sounds and smells. They are exposed to children larger dogs, cats , farm equipment etc. my puppies have their first set of puppy shots and regular worming and a vet check before they go home. I'll puppies come with a standard one-year health guarantee he with an option to extend it out for two years. All dogs are vet checked yearly and screened for any potential genetic health problems. We do hand-deliver via airline where we will meet you outside of security or baggage claim with your puppy. We are inspected yearly by AKC and the state of Minnesota. Our goal at Dog-Gone Cute Puppies is to consistently raise “dog-gone cute”, as well as, happy, healthy, well socialized puppies; and to place them in homes where they will continue to be loved for their lifetime. With our expertise and knowledge we can assist you in finding the perfect new family member. Puppies are current on their vaccinations and are examined by one of our veterinarians before they go to their new homes. Every puppy goes home with a one year health guarantee against any congenital defects. We raise preloved easily trainable family pets. We are also a reputable breeder of therapy and medical service dogs. Many of our smart pups have become loving ESD (emotional service dogs), PSD (Psychiatric service dogs), medical alert dogs, handicap service dogs, & certified therapy dogs. All are born and raised in our homes with early socialization and training with emphasis on creating a sturdy foundation of trainer/dog bonding and positive reinforcement reward for success. Every puppy that has ongoing training after they leave us has potential to become a service dog as well as a loving family pet. So if you are looking for a future service dog or just a well-mannered family pet you will find him/her here. All of our puppies are raised right in our home. Our babies come to you very well socialized and make a wonderful addition to your family. Kid Approved. Raised With Love. We breed for temperament, appearance, good health and all around 'lovability'. We offer a 2 year genetic health guarantee with our puppies. They are vet checked, vaccinated and dewormed prior to their adoption. Our dogs are fed an extremely healthy diet - nutrient dense, corn and wheat gluten free, with no artificial colors or flavors. A food that offers only wholesome ingredients. Description: The Cavapoo is relatively new American breed, a cross between the Cavalier King Charles Spaniel and Poodle. Cavapoos do well living in apartments but are fairly active -- a small yard for romping is good for them. They prefer cool climates. The Cavapoo is good with children and other dogs, easy to obedience train. Standard - over 19 pounds. Colors: Most common are white and brown with a white chest, there are a variety of colors that are available. 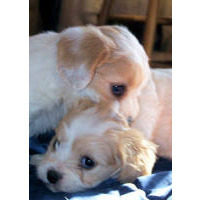 This breed directory page features Cavapoo dog breeders with puppies and/or adult dogs for sale. Once you purchase your new found friend, you will want to provide it the best in pet health care. Be sure to visit our online discount pet supplies catalog and order NuVet Plus™ to keep your puppy and adult dogs in top condition. The discount catalog also features collars, leashes, carriers, general pet care products and much more. BreedersClub.net does not pre-screen the Cavapoo dog breeders who advertise their puppies and dogs for sale in the BreedersClub.net breeder directory and in the classified ads. We require all advertisers to agree to our advertising terms. 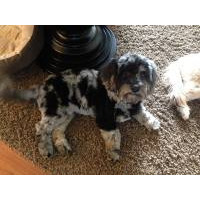 You should ask the Cavapoo dog breeders you talk with for references from past buyers and veterinarians.